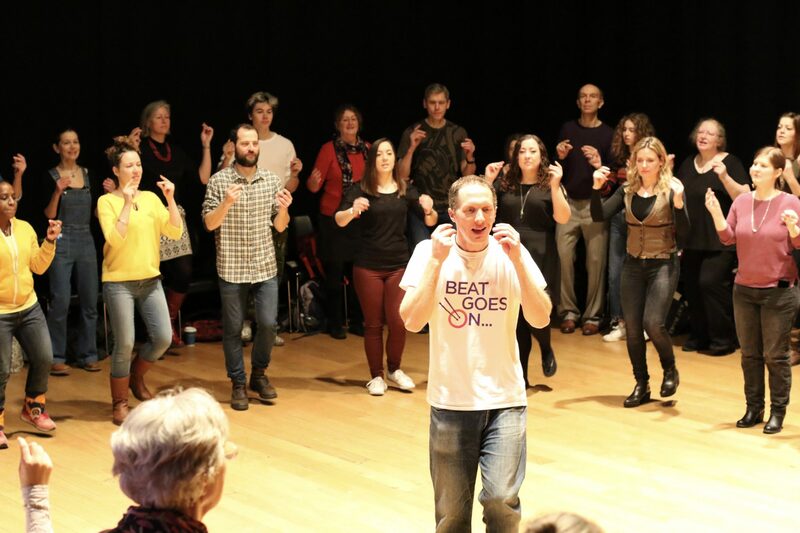 This year the London A Cappella Festival hosted a body percussion workshop led by Ollie Tunmer, the director of Beat Goes On. Body percussion is something that has interested me for a while, and lately it has become hard to ignore. The recent rise in a cappella fandom has seen lots of groups experimenting with beatbox, and elements of body percussion. Whether it be Perpetuum Jazzile (the XXL vocal group from Slovenia), Moira Smiley and her band Voco, YouTube megastars Pentatonix, or Pitch Perfect’s ‘cup song’ body percussion is going viral like never before! The venue for the workshop was Kings Place, and it was buzzing with enthusiastic (slightly nervous) participants. LACF draws singers and enthusiasts from all over the world, and so the workshop had a real spread of people, and a mix of ages and abilities. 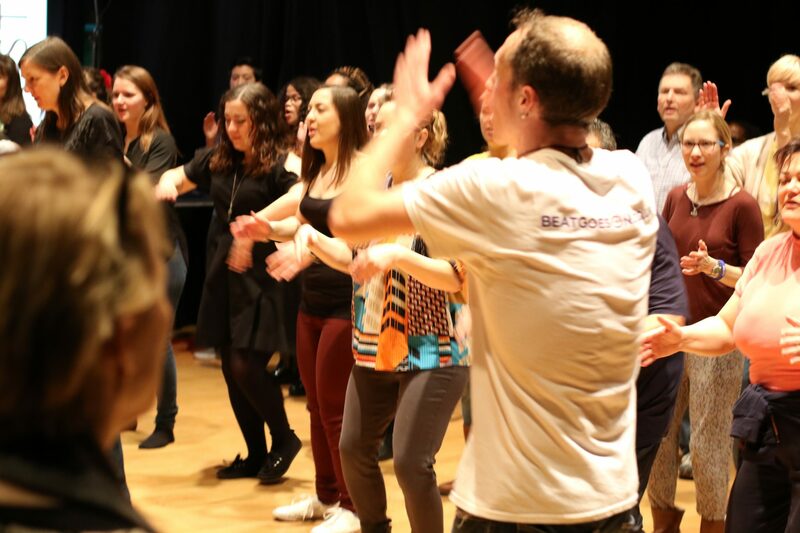 Most people were completely new to body percussion, and this workshop was to be their introduction. Ollie was a brilliant leader with an infectious enthusiasm and a spirited approach. He broke down the basics into easy-to-digest chunks, and found the perfect balance between accessible and challenging. By the end of the session we were tackling some complex rhythms, and it was far from an easy ride. The room was full of concentration as Ollie split the group into smaller sections, with each group creating their own compositions. The session was great fun and full of energy. When the hour came to an end there was a communal sense of accomplishment, and everyone left with a spring in their step. Immediately after the session Ollie was off to lead a workshop for little people – this time with even higher levels of energy! The material went down really well with the youngsters, who were a mix of ages. I was amazed to see how quickly the group picked up the choreography, and how naturally it came to them. The rhythms didn’t seem to faze them at all, and by the end of the workshop Ollie had them doing some challenging routines to an impressive level. The two workshops left me feeling really energised, and glad to have taken part. Much like singing, body percussion is something that everyone can enjoy. We’ve all got the kit, and it is a good challenge both physically and mentally. But more than anything it is great fun, and I would recommend that everyone give it a go. How did you discover body percussion, and what set you on this path? I’ve been hitting things since I was tiny. I was lucky enough to move onto the drum-kit and orchestral percussion. Then when I was at university I started getting into samba. It was at this time that I first auditioned for the show STOMP. I’d been aware of the show for a long time and had been to see it as a punter, so it was great to get the chance to audition for them. It was being involved with STOMP that introduced me to body percussion. Auditions are like open workshops and the first thing they teach in the audition process is a routine involving hands and feet. I loved this routine and ended up teaching it to my mates in my uni common room. A few years later, having got into samba drumming workshops, I then started leading workshops for STOMP. We’d go into schools and teach body percussion, performance and composition through some of the STOMP set pieces. A little bit further down the line I got offered a part in the show, and that’s really where it all started for me. I also had the pleasure of performing in their sister show the ‘Lost & Found Orchestra’, which has performed around the world, including a box office record breaking run at the Sydney Opera House. Tell us a little bit about Beat Goes On and what you do now? We do STOMP-style body percussion and samba drumming workshops. This includes working in schools, corporate team-building events and CPD teacher training. We’ve got plans to release an instructional book and DVD and I’m also doing some choreography and performing in a feature film – it’s pretty varied! Is there much of a body percussion scene in the UK? Yes, and it’s growing! 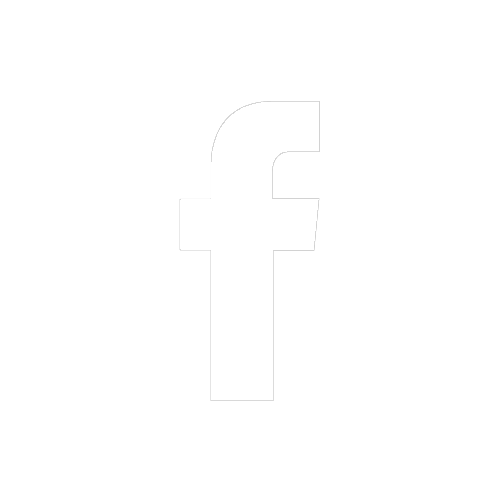 There are a few social media pages, and groups that organise regular meetups. If you know where to look for it, there is plenty going on. However, the best thing about percussion is that it happens everywhere – it is a universal language. So the international scene is huge! The International Body Music Festival (IBMF) was set up by Keith Terry of Crosspulse (USA) and happens every year in a different location and in collaboration with different organisations around the world. Most recently it took place in Paris, and people came from all over the world to take part. There was an amazing atmosphere and loads to absorb from all of the different performers, workshop facilitators and participants. IBMF is about body music, not exclusively percussion. Sometimes the vocal element can come in as well, some people like to focus more on dance forms and there are some fascinating explorations of sound and space – everyone has their own approach. What can you tell us about body music around the world? Body music is the oldest form of human communication. There are lots of examples of it in different cultures, and throughout history. In nurseries you’ll often see kids clapping and moving, the building blocks of music. One of the best things about body percussion is that anyone can do it, so it happens everywhere. Some examples from round the world that spring to mind are hambone from the Southern American states, flamenco from Spain and gumboot dancing from South Africa. Stepping is a dance from the USA, which came out of African American college fraternities and sororities in the early 1900s. There are loads of variations and traditions from around the world, and it’s continually evolving. The nice thing about IBMF is that it brings all of these traditions together. Members of Barbatuques were there with some amazing Brazilian material. Thanos Daskalopoulos taught some traditional Greek rhythms in all manner of different time signatures. Everyone is really happy to share the work and teach their routines, and that’s how the scene keeps moving forward. As long as people are crediting the performers and creators then it can only be a good thing. Are there any inspirational body musicians to look out for? On a personal level the STOMP material has had a huge impact. The show was created by Luke Cresswell and Steve McNicholas in collaboration with the performers. Leela Petronio and Hip Tap Project, who hosted the festival in Paris this year, do amazing shows. Keith Terry and Peter Nielsen provided some of the IBMF workshop highlights for me. Peter’s recently done a TED talk and he has some brilliant videos online including with his Funky Currywurst Brothers! Molodi Live are great outfit that include stepping and other percussive styles in their performances. There are many, many more…..! Have there been any interesting new works recently? Body music has been taken in some interesting directions. In 2014 the BBC launched an initiative called Ten Pieces, aimed at engaging young people with classical music. Anna Meredith was commissioned to compose ‘Connect It’, a piece involving lots of rhythmic sounds and movements being passed between the performers. Beat Goes On are a BBC Ten Pieces Champion and we created a workshop based on ‘Connect It’, and some of Anna’s ideas. It was a popular piece with all ages, which created some amazing creative responses. For me it was amazing to see body music reach a new audience on such a large scale, and in such a positive way. Where would you like to see body percussion go next? Beat Goes On are involved in a range of cross-curricular approaches that have lots of potential for the future. We take the rhythms of words that relate to a topic, and say them rhythmically. We then transfer the rhythms onto body sounds. In this way, students learn the rhythm and the vocabulary. We call this ‘rhythmonics’, and it’s a kinaesthetic approach to learning, suitable for any subject. Everyone learns differently, and this approach can help to make some subjects more engaging for some students. I do similar work with literacy specialist Pie Corbett, creating body percussion compositions with children based on the rhythms of their written work. On a more personal level it’s about continually developing my own style. While I’ve been working on this feature film I’ve been really conscious of combining a range of inspirations and ideas. I play samba and drum’n’bass, for example, and incorporating them into my body percussion performance is great fun. I’ve just done a recording with The Swingle Singers, and I really enjoyed the challenge of trying to match their sound and respond to what they’re doing musically. Collaboration always takes us in new directions and opens up fresh ideas. 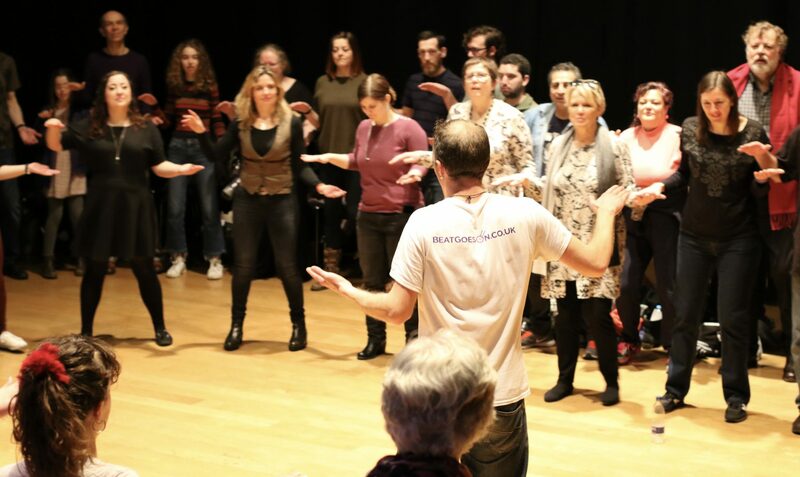 Huge thanks to the London A Cappella Festival, The Swingle Singers and Ikon Arts for an amazing weekend of music, and for allowing LaLaLa to get involved. Also, a big thanks to Ollie Tunmer and Beat Goes On for a great workshop, and for making time to answer a few questions at the end. Find out more about Beat Goes On on their website, Facebook and Twitter pages.